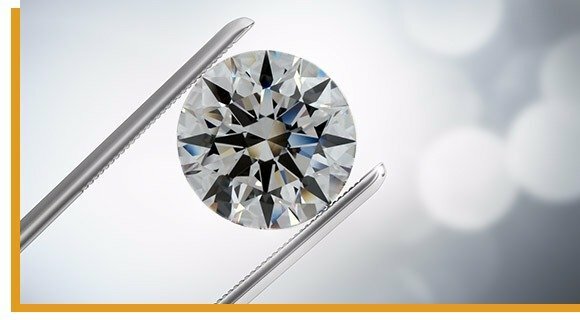 For over 30 years, Valmand has demonstrated the commitment to supply high quality diamonds, superior jewelry and services. We are behind every single piece of jewelry with our friendly customer policies, designed to offer satisfaction and to make Valmand the jeweler one can count on for a lifetime. At Valmand, we subject every piece of jewelry to rigorous quality tests. Every jewel is executed in our workshop using premium materials and state-of-the-art technology. We carefully inspect every pretious stone to ensure that it meets our strict criteria before delivery. 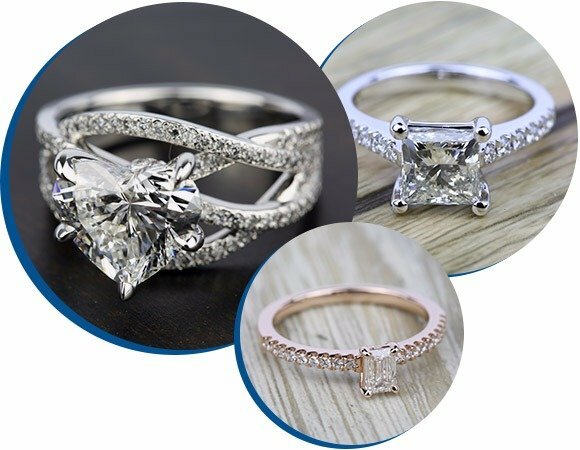 In the rare situation you find the smallest imperfection, we invite you to send the jewelry back to us to be verified by one of our specialists. If the imperfection was caused during the manufacturing process, we replace or repair the element free of charge. If technicians find that the damage is due to wrong usage or external intervention, we will repair the product at cost. Our 24 months warranty is valid from the date of purchase and includes the inspection of each component part, subsequent modification of the rings measure and professional maintenance. 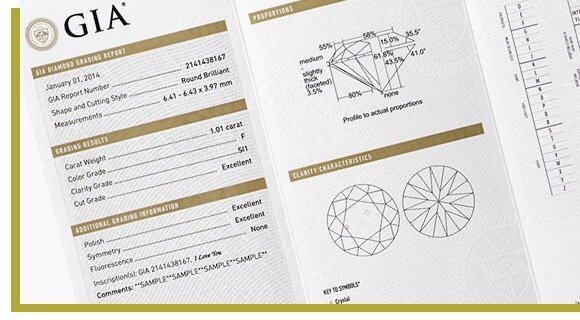 Also, colorless diamonds are GIA certified if they meet the following conditions: minimum weight 0.30ct and minimum color G. GIA (Gemological Institute of America Inc.), a non-profit worldwide recognized laboratory that attests the authenticity and the quality of the diamonds. For more information, please visit their website: GIA. The precious stones we work with are bought directly from the stock exchange, and are carefully selected by our team. These precious stones are first subjected to a number of tests to establish their balanced price, meant to satisfy both parties. We do not sell or execute jewelry with synthetic stones! 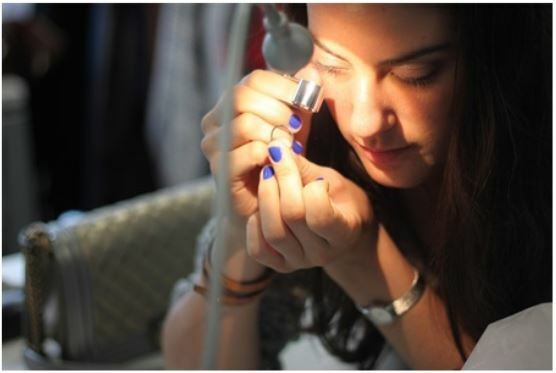 We consider that professional maintaining of your fine jewelries is essential to ensure their beauty and longevity. Here, at Valmand, we offer free repair, professional cleaning services and inspections of the component parts during the period of warranty. 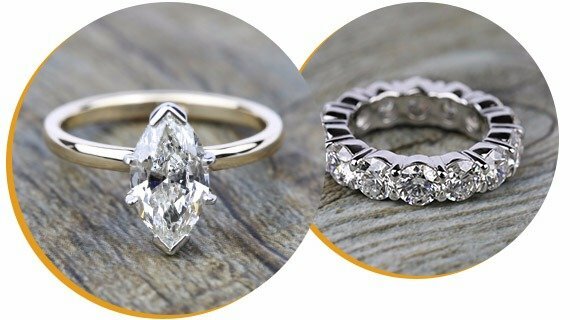 Our complete services include cleaning and polishing, rhodium replating (for white gold) and diamonds and gemstone tightening. 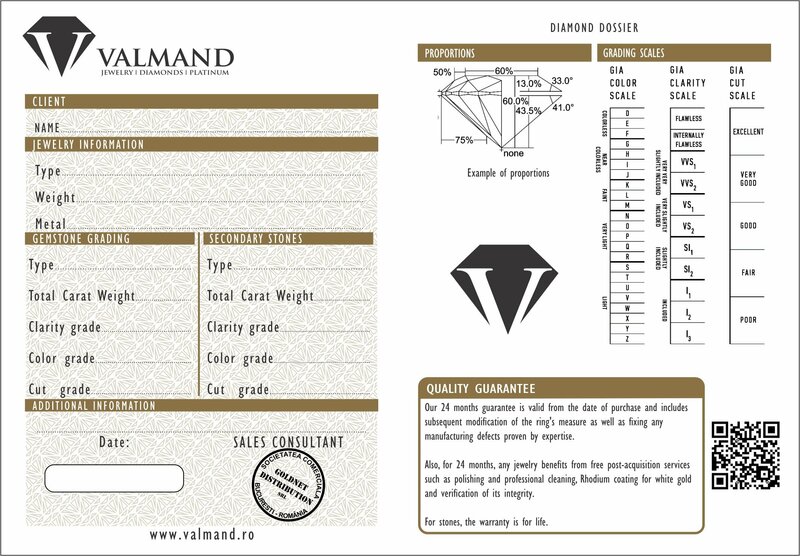 For more details about our free services, please contact a Valmand diamond and jewelry expert.